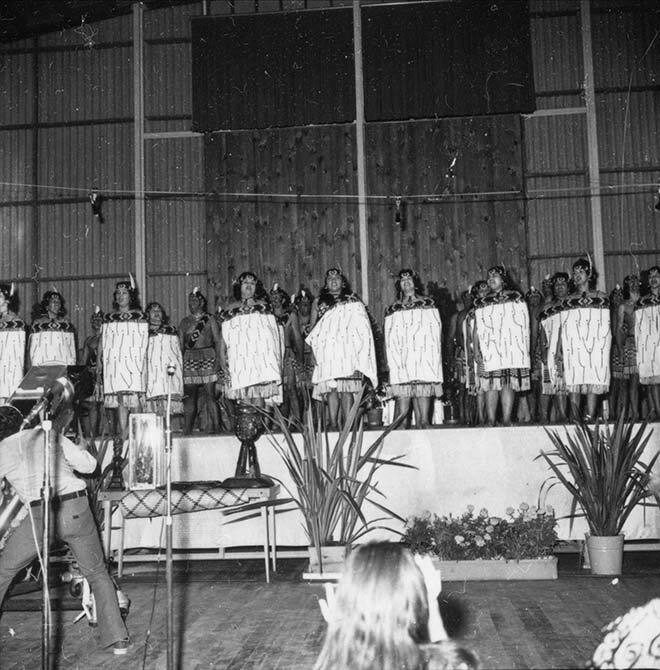 Nationwide kapa haka competitions began with the inaugural Polynesian Festival, held in Rotorua in 1972. Seventeen kapa haka groups, plus six from other Polynesian cultures, took part. Bad weather forced the competitions indoors. This photo shows the overall winners, the Gisborne-based group Waihīrere, led by Ngāpō (Bub) Wehi. The event was professionally recorded, and highlights were later released on a commercial LP by Kiwi Records.